In Atlanta and Environs, historian Franklin M. Garrett wrote that Oakland Cemetery is "Atlanta's most tangible link between the past and the present." Within its forty-eight acres are more than seventy thousand personal stories—of settlers and immigrants who forged a city from a rowdy railroad camp, former slaves who carved out lives in a segregated world, soldiers in blue and gray who were cut down in a brutal civil war, and civic and business visionaries who rebuilt the Phoenix City from the ashes of war and carried it to prominence on the international stage. Today, Atlanta's oldest public cemetery remains a must-see destination for anyone interested in the city's colorful story. 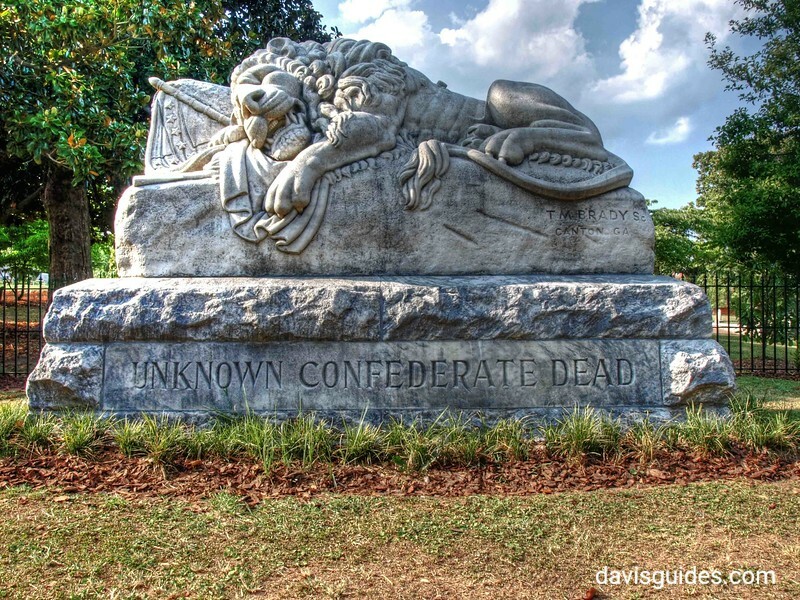 Past the grieving mien of the Lion of Atlanta, which guards nearly three thousand unknown Confederate soldiers, visitors can pay respect to those who made Atlanta history—former slave Carrie Steele Logan, who founded the first orphanage for African American children; Joseph Jacobs, owner of the pharmacy where Coca-Cola was first served as a fountain drink; Morris and Emanuel Rich, founders of the storied Rich's Department Stores; golfing Grand Slam legend Bobby Jones; Gone With the Wind author Margaret Mitchell; Maynard Jackson, the city's first African American mayor, and many others. Aside from its importance as a historic site, Oakland is among the nation's finest examples of a rural garden cemetery, characteristic of the nineteenth-century movement to transform stark burial grounds into pastoral landscapes for both the repose of the dead and the enjoyment of the living. With Ren and Helen Davis's engaging narrative, rich photography, archival images, and detailed maps, Atlanta's Oakland Cemetery is a versatile guide for touring the cemetery's landscape of remembrance, as well as a unique way to explore Atlanta's history. Update: The book has been recognized with two statewide awards. The first was the Georgia Historical Society's 2013 Lilla M. Hawes Award for the best book published in 2012 on local Georgia History. The second was the 2013 Author of the Year Award in the Specialty Book category, presented by the Kennesaw State University based Georgia Writers Association.